Apple's new MacBook Air with Retina display starts at $1,199 and is available in silver, gold and space gray finishes. It ships on November 7 and judging from early reviews, it checks most of the boxes that Air owners, former and present, will be looking for in a new portable. 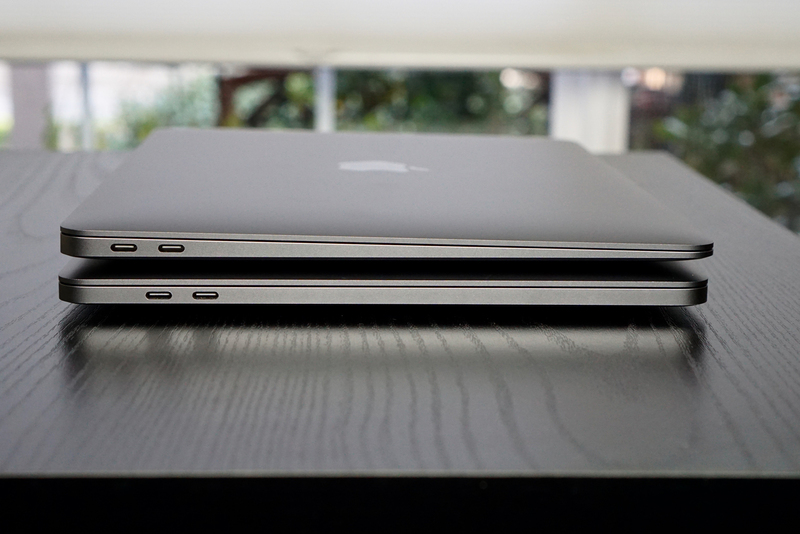 The comparison that actually matters is to the old MacBook Air. There are a ton of people who have been hanging on to theirs because it was so good and so reliable. Comparing a 2018 laptop to one that hasn’t had a significant update since 2015 is going to strike tech enthusiasts as ridiculous. Of course the new Air is going to beat out the old Air on a whole host of metrics. But that’s precisely the point: Apple waited entirely too long to release something like this new Air, so people have been waiting. If you’re one of those people, you’ve got a lot to catch up on. 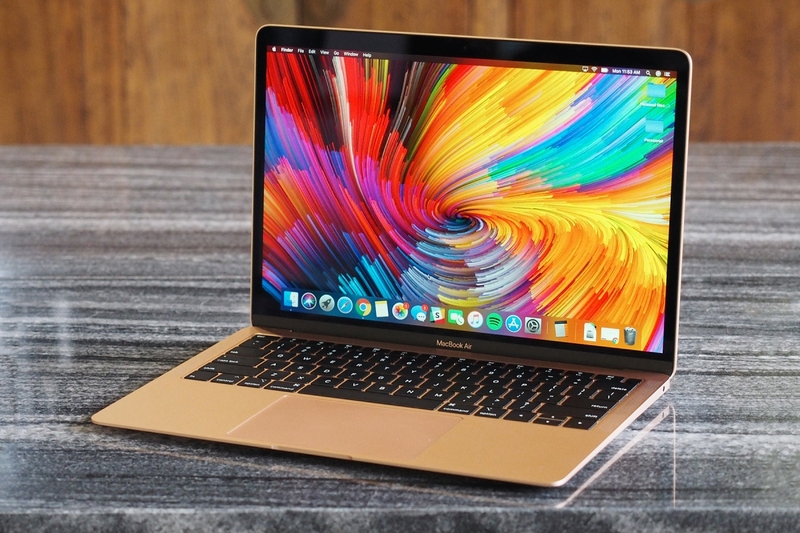 This new MacBook Air essentially takes all of the new stuff Apple has been doing with laptops for the past three years and builds it into a single device. Until this new laptop arrived at my office, I was making do with the last-gen MacBook Air, an aging work-issued machine that continues to serve me well -- mostly, anyway. As I type this, the old Air is sitting on a shelf, along with its antiquated MagSafe adapter. In its place is a much more compact notebook, with a more compact Thunderbolt 3 charger. The new Air feels both familiar and not. Though my test unit is gold -- a first for the Air -- the fit and finish are otherwise the same: This is a wedge-shaped machine with rounded corners and matte aluminum surfaces. As with previous MacBooks, I scratched the aluminum within days of unboxing it and am now sad. On a happier note, this is the first Mac with an enclosure made completely from recycled aluminum. That's great, but you won't spot the difference. And that's a good thing. Flip the laptop over, though, and the flat black edge on the back is gone. The 2.75-pound system is noticeably thinner, lighter and smaller than before, too, with 17 percent less volume, according to Apple. On the typist's left side, though, are two Thunderbolt 3 ports, the same selection you'll find on the MacBook Pro. Indeed, I feel like I'm holding some sort of (non-existent) 13.3-inch MacBook or an extra slim, extra light version of the 13-inch Pro. 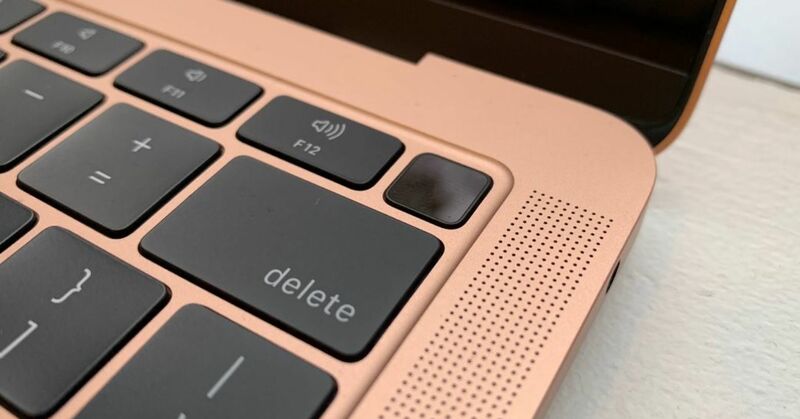 The old trackpad has been swapped out for the Force Touch trackpad you now find on every other modern Mac laptop, which is a good thing. It doesn’t have quite the satisfying tactile response of the old model, but it’s larger, clicks evenly everywhere (the old one was hard to click along the top edge), and allows you to do neat stuff in macOS, like force-clicking on any word to get dictionary and thesaurus entries for it, or on an address to get a Maps preview. The speakers are a lot better than those on the old MacBook Air. They’re noticeably louder, and the sound is a lot less tinny. Don’t expect them to fill your living room with music, but at least there’s some bass response now. The 2,560 x 1,600-pixel Retina display is the true star of the new MacBook Air, offering crisp detail and solid colors. As I watched the first episode of The Chilling Adventures of Sabrina, I noted rich reds in her jacket, lush green foliage in a creepy forest and vibrant pink neon at a movie theater. Inky black spiders in the opening credits looked so dark that I wondered for a second if this notebook was using an OLED display (it's not). As I watched a 4K video of the Colorado Rockies and a nearby pond, I noted tons of detail, including tiny ripples in the water and small, sharp, jagged rocks at the tops of the summits. As I tested the MacBook Air, I felt that the display was bright enough, especially as I watched a nature video, with trees and lakes retaining their vibrancy when I rotated the screen 30 degrees. Annoyingly, though, those same colors darkened a tad at 45 degrees to the left and right. The Surface Laptop 2, MateBook X Pro and XPS 13 are all so bright that they don't have issues with viewing angles. A pair of state-of-the-art Thunderbolt (USB-C) connectors are on the new Mac, which you can employ for a variety of purposes: to rapidly transfer data, connect to external storage devices, connect to external displays (even 5K), and of course power up the computer through the adapter that comes in the box. It also means you might share that charger with a USB-C capable smartphone, standard on many Android devices, but not Apple's own iPhones. You can also use a cellphone charger to give some juice in turn to the Mac, but such a lower wattage charger would take an awfully long time to do that. Also worth pointing out: Apple improved the sound on the MacBook Air with speakers that deliver wider stereo separation, evident to my ears on jazz classics such as “So What” by Miles Davis and “Take Five” by Dave Brubeck. And bravo, the computer has a standard-sized headphone jack, which Apple has sadly removed on recent iPhones. What's no longer here, though, is a slot for an SD memory card, a fixture on my older Air, though I frankly don't use it often. What might push you towards the Air, though, more so than any other Mac laptop, is its battery life. The MacBook Air has long been known for its "all-day" battery life. (On a recent five-hour flight from Atlanta to San Francisco, my 2017 MacBook Pro barely lasted through the time period in the middle of the flight when Wi-Fi was available.) Could the new MacBook Air maintain this nebulous claim? If your work day is around eight-hours, then sure. I cycled through the laptop's battery life a few times. All of theses tests involved me shutting the laptop at some point to sleep, the waking it up and resuming, rather than running it down for many hours straight. Not surprisingly, the laptop drained much more quickly when I used the MacBook Air to charge my iPhone, something I do often. But in another recent test—browsing in Safari, running Slack and iMessage, editing a few photos in Lightroom, all with the display between 60 to 70 percent of maximum brightness—it lasted just under eight hours. What was that sound? I looked around the room, and realized the sound was somewhere close to me. Lifting the MacBook Air to my ear, it was coming from inside the laptop itself. The fan in the new MacBook Air doesn't often kick in, but when it does, you'll hear it in an otherwise quiet room. After using a 12-inch MacBook, and other fanless PCs like the Acer Swift 7 or Surface Laptop 2, it's a bit of a shock to hear the fan on something so slim spin up like that. To demystify the issue as much as possible, the new MacBook Air is a tad faster than the still-available previous model. (But since those Intel chips were several generations behind, that's not much of an achievement.) 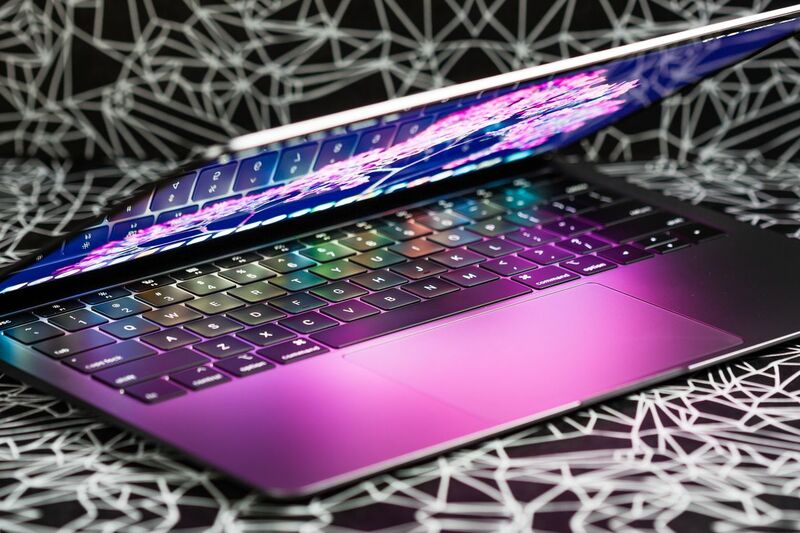 It's also faster than the current 12-inch MacBook and the least expensive 13-inch MacBook Pro -- both of which are still running 2017 Intel chips. And it's also slower than some comparable Windows laptops in its price class. So: Do you get better performance than before? Yes. Should you expect more CPU power from a $1,199 laptop that weighs 2.7 pounds and has some serious fans? Also yes. If you’re shopping for a Mac laptop, start with the MacBook Air. Want a cheaper model? The old Air is there for as long as it lasts. Want something even smaller and lighter, and are willing to trade some power, port flexibility, and money for it? The MacBook is for you. Want something more powerful, and are willing to take on a slightly heavier and more expensive device? The 13-inch MacBook Pro without Touch Bar is for you. Want even more power? The 13- and 15-inch MacBook Pros offer numerous opportunities to upgrade specs and spend more money. This is the MacBook to buy, and I think it has serious potential to help Apple boost Mac sales again. 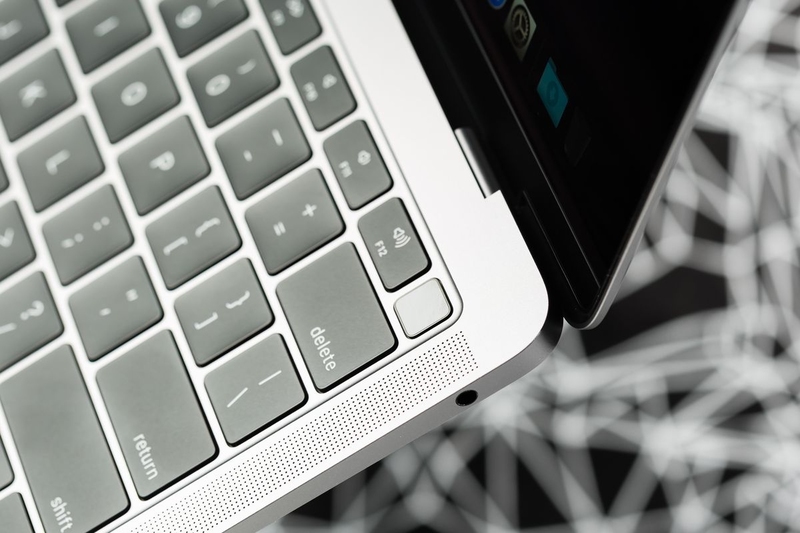 People like me have been turned off by the lower-powered, small and more expensive MacBook. And I don't need the power or want to pay the higher price of the MacBook Pro. 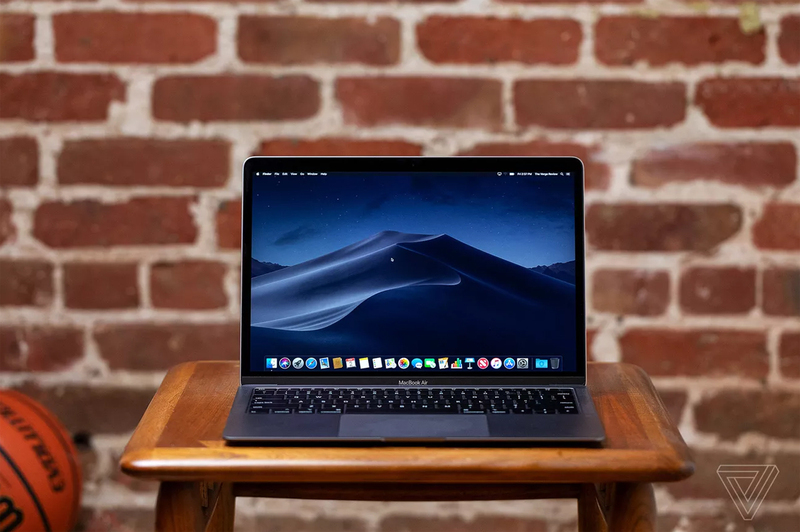 This sits right in the middle and gives consumers almost everything they loved about earlier MacBook Airs, but with a beautiful new display and improved performance. If you prefer Windows PCs, however, I highly recommend Microsoft's Surface Laptop 2. It offers a similar thin-and-light experience, a great design, good battery life and a touchscreen display. You can't go wrong with either one, but Apple fans finally have the MacBook Air they've been waiting for.